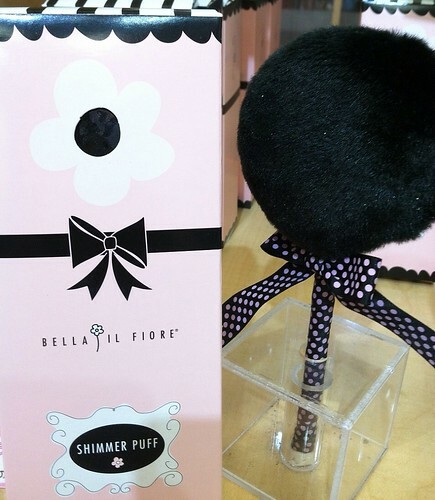 This powder puff on a stick is filled with glittery body powder. All you need to do is tap it on your skin and your instantly shimmery. I have the black puff which has gold shimmer in it that goes well with my skin tone. They also have a white puff with silver shimmer in it. This is great for going out as well as sitting poolside, it will give you an instant radiant look. Thanks for the add! I'll definitely have to check this out for my collection. I've been eyeing up the TARINA TARANTINO Sparklicity Shimmer Dust pump for almost a year and can't stand the thought of dropping $40 on sparkles (no matter how lovely). This looks like a fantastic alternative!